What Would BTS Say To Themselves From 2013? At the 600th episode of M Countdown, BTS had time to reminisce about the past when it had been not so long since they made their debut. 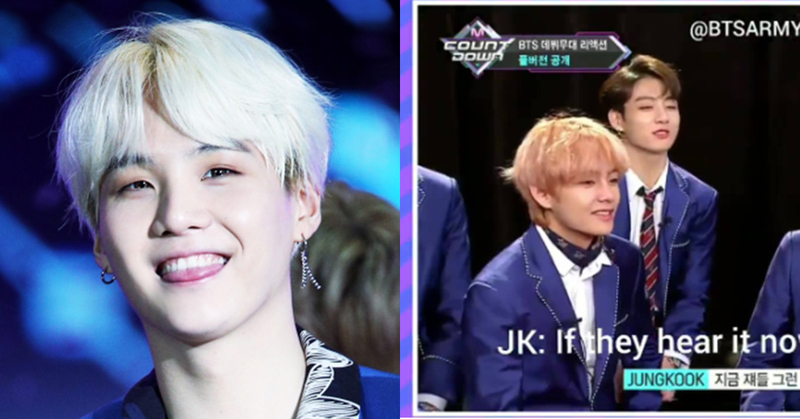 When asked what they would say to their past selves from 2013, Suga started off by saying, "If I were to say something to them, I would say 'I know you guys are going through a rough patch, but hang in there...'" he continued, "You all will be world stars, topping the Billboard chart and even speak at UN". Jungkook chimed in saying, "If they hear something like this, they will go crazy" Suga assented to it by replying "Right. They will be like 'stop the nonsense'". Then Jungkook said, "I think the reason why we can be here is that we did well back then". RM also engaged in the convo saying, "I would say 'Are you guys happy? then that's it'" "I'm glad that you guys are healthy" he said. This brief and simple letter by one of the most successful boy bands in the world to their past selves comes across as somewhat touching since what they said implied how struggling it was for them to get through the past years as a boy band who had barely gotten attention from the public, to begin with. Even as the most sought after idol group themselves at the moment, they were not able to predict how big they were going to make it. Considering how much endeavor they had to make to be where they are right now, BTS must be beyond proud of themselves for riding the hard times out and making their marks.